Skilley, an alley cat with an embarrassing secret, longs to escape his street-cat life. Tired of dodging fishwives’ brooms and carriage wheels, he hopes to trade London’s damp alleyways for the warmth of ye olde Cheshire Cheese Inn. He strikes a bargain with Pip, an erudite mouse: Skilley will protect the mice who live at the inn, and in turn, the mice will provide Skilley with the thing he desires most. This New York Times Bestseller is a true story of hope and generosity, and the gift a small Kenyan village makes to the people of America. 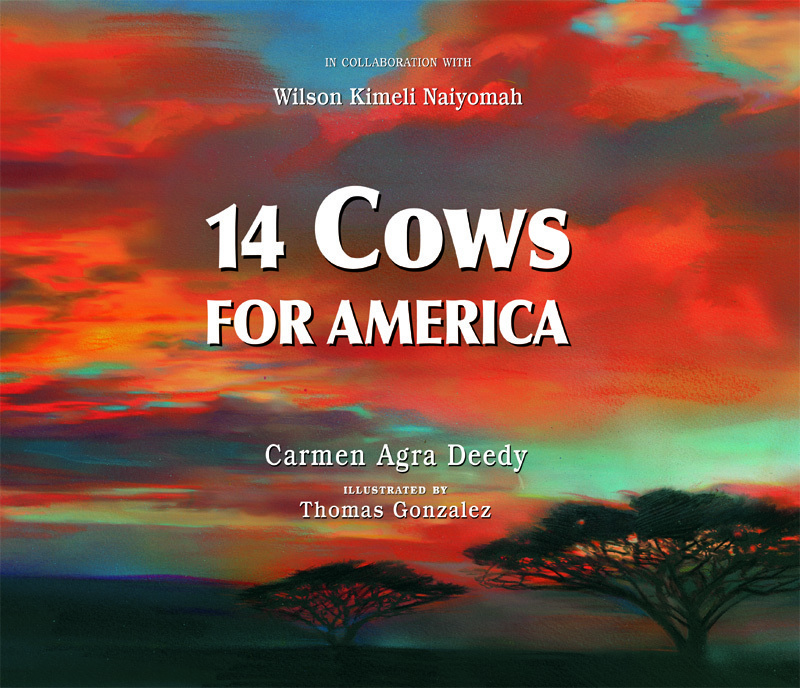 This children’s book was done in collaboration with Wilson Kimeli Naiyomah and features stunning illustrations by Thomas Gonzalez. 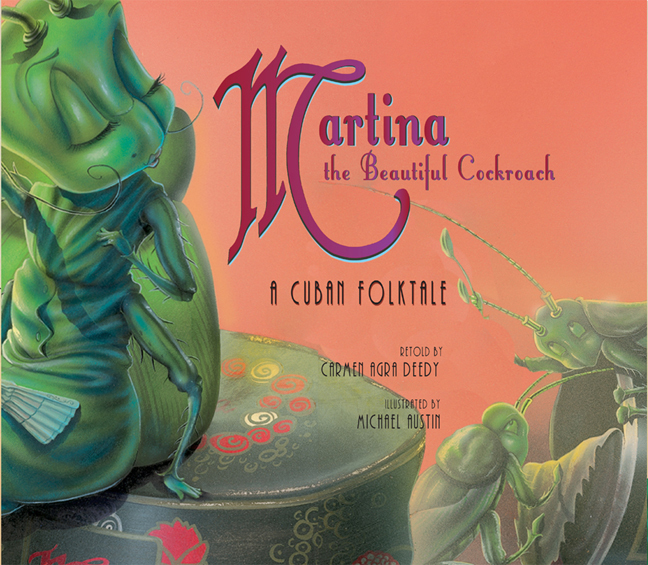 Martina the beautiful cockroach doesn’t know coffee beans about love and marriage. That’s where her Cuban family comes in. While some of the Cucarachas offer her gifts to make her more attractive, only Abuela, her grandmother, gives her something really useful: un consejo increíble, some shocking advice. For centuries, the Star of David was a symbol of Jewish pride. But during World War II, Nazis used the star to segregate and terrorize the Jewish people. Except in Denmark. 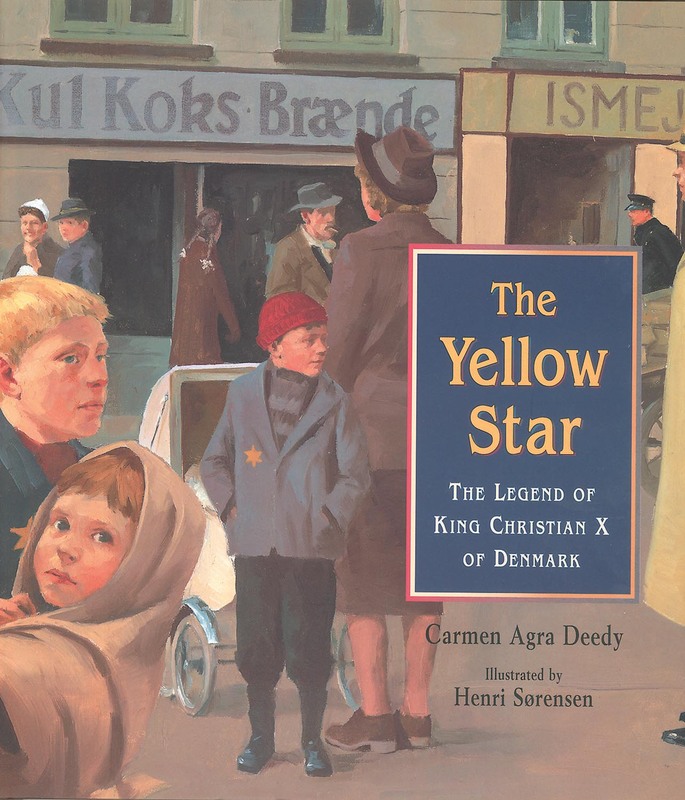 When Nazi soldiers occupied his country, King Christian X of Denmark committed himself to keeping all Danes safe from harm. Walter Higgins is a scrappy child with a great imagination, yet is still not quite sure of himself. In fact, he feels lost when he is shipped off to Boston to visit his unknown Great Aunt Hortensia (“the Warden”) while his parents pursue their own dream of climbing Mount Kilimanjaro. Walter feels he is in for the worst summer ever. 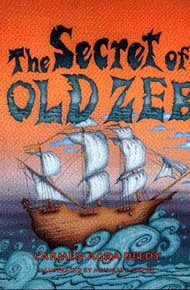 But then he befriends a mysterious neighbor, Old Zeb, a lonely, grizzled sailor who builds ships in bottles. Deep in the cavernous confines of the cellar, Old Zeb lets Walter in on the Great Secret Project and his lifelong dream. Agatha loves her new feather bed, but when six shivering, naked geese pay her a visit to discuss the origin of the feathers, is her goose cooked? Bessie and Ninny are the best of friends. Sometimes on milk-moon nights, Ninny throws buttons at Bessie’s window. When Bessie peeps outside, Ninny sings: “Bessie, oh Bessie! Come dance with me! For I hate to dance alone, Where the old men sleep, And the women weep, And the wild, fey children roam.” Down the drainpipe Bessie slides to visit Ninny, and off they go. 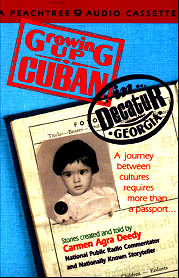 Come along with popular storyteller and author Carmen Deedy on this journey through her childhood—a journey that takes Carmen from her island roots in Havana, Cuba, to small-town Southern life in Decatur, Georgia. Dear ms. Carma AgraDeedy I love your books ani cant wat for you to visit on jan 4! I can’t wait for you to come! I love the book Library Dragon & Martina the Beautiful Cockkcroach! Those are my FAVORITE books by you! Can’t wait for you to come! I am so excited for you to come and visit our school! I have just finished reading one of your books and loved it! I love reading and writing things… excited to see you come to our school! I loved your visit to Chets Creek Elementery. I liked when you told the story to the forth and fith graders.I especially liked when you told the story about MONSTER WEEK! What’s the suggested age for “The Library Dragon”? My son loved your visit to Vanderlyn here in Atlanta. 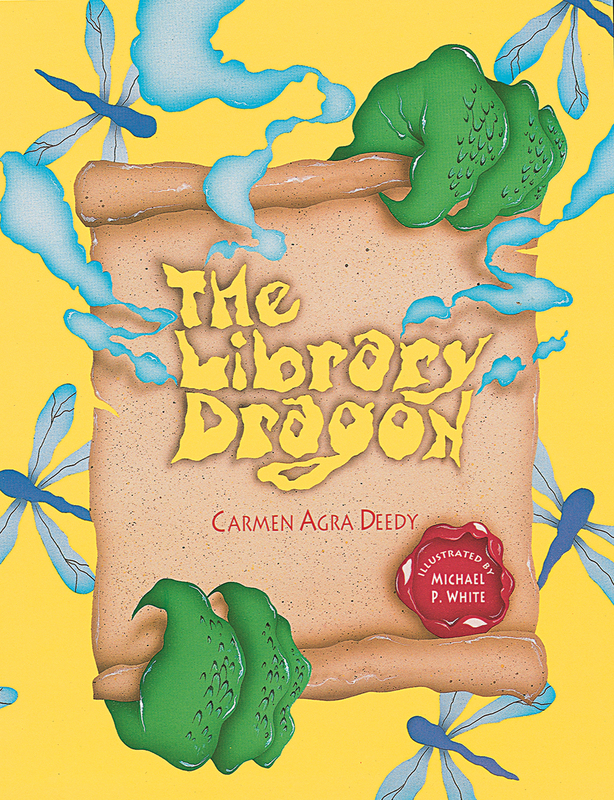 The Library Dragon is great for elementary aged kids. I would say about ages 5-10. I hope y’all enjoy the book! The sequel will be out next Fall! Your Books are SOOOOOOOOO HUMOROUS!!!!! You came to my school (Dripping Springs Elementary School, Dripping Springs,TX) and I loved your presentation and jokes!!!!! I have shared your books with all of my family and they loved them!! She’s coming to my school this year!!! Dear Mrs.Carmen I am Jacob From Bookman Road Elementary and you visited on Jan. 10 2013 I just wanted you to post that story on youtube because I want to show my parents how funny you were. During your visit to our school in Edenton, NC last year, you told the funniest stories about your neighbors (sharks in the backyard!). You mentioned that the story was going to be in a book that you were working on. Has the book been released? My students and I loved hearing all of your stories (and reading them as well). We are looking forward to reading more about your adventures. Thank you! Pingback: Science Friday – Cockroaches | What is ML Reading? I am so EXSITED that you are finily coming to my school, Mount Bethel Elementary. I have shared tour books with tons of friends and family. My cousin is an author too! Her name is Elesibeth Odelumda, I wonder if you know her? I loved your visit to Jackson Elementary in Lawrenceville, Georgia. Your story was awesome about when you finally go to ride in the favorite firetruck (1957 Seagrave firetruck) (oooohhh aaaahhh)! You were hilarious today. All of the third graders and the second graders that were in the gym laughed every time you said something. I really like the Geronimo Stilton books. 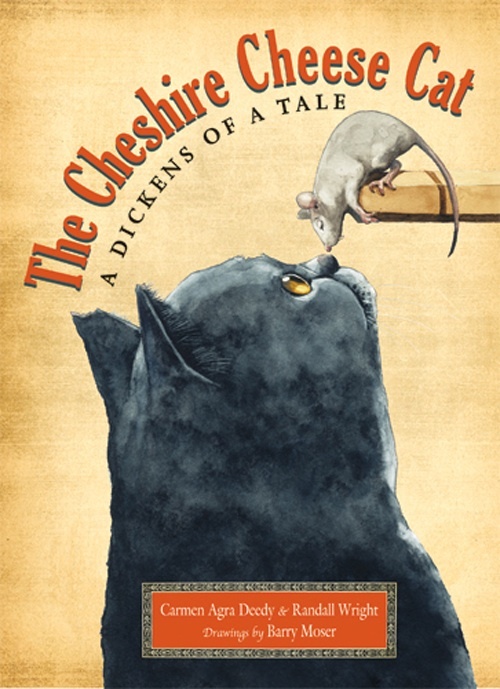 I would really like to read your Cheshire Cheese Cat story because one of the characters is a mouse! Thank you so much for visiting Dunwoody Elementary School! The kids loved seeing you and hearing your stories. My 5th grade son tells me that you are writing a book that he can’t wait to read and we just purchased The Library Dragon for my kindergarten son. It was a real treat for them to hear from you and learn more about the art of writing. Thank you. Dear Miss Deedy, thank you for visiting Dallas Elementary today. I enjoyed hearing your ideas for new books! You made me laugh a lot. I told my Mommy that I want to get all of your books. P.S. this is Addy’s mom…Addy has talked non-stop about you. You made a lasting impression on my child. Thank you! I was the kid named Colton you met today. I think you should publish the book refugee. I loved it. Hi Colton! I passed on your message to Carmen! She’s working on the book, along with a few others!